In today’s Client Spotlight, we are excited to introduce you to Carol Givan with the Theatre of Dreams. 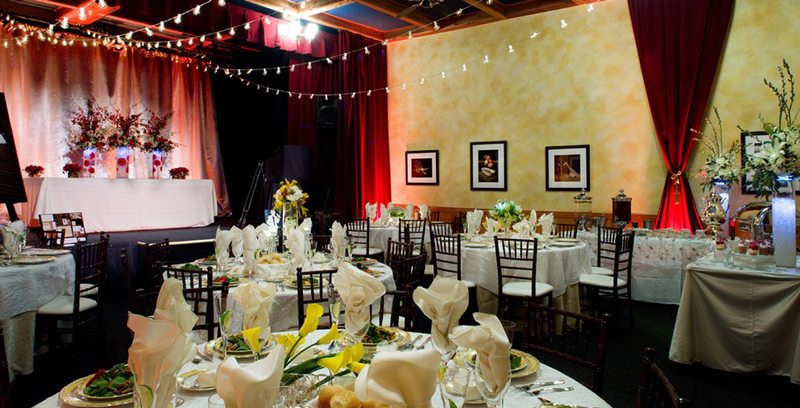 The Theatre of Dreams is an elegant, 74 seat theatre in Castle Rock, Colorado that features world class talent from across the globe. Read on to learn more about Carol’s story, plus learn how she has been running a successful theatre for over 12 years. Enjoy! Can you tell us about yourself and the Theatre of Dreams? Joe Givan started doing magic at the age of 4, which led to three world championships at the Olympics of Magic as well as shows and lectures around the world. I was a college cheerleader and Miss Ohio finalist, which led to a brief job as a magician’s assistant until I became a magician myself. Joe and I teamed up in 1993 and hit the road with our crew of 4 entertaining at performing arts centers, casinos, and corporate shows. Known as the Dream Masterz, we perform on the world’s largest stages, casino venues, performing arts centers and television worldwide. Dreaming of owning our own theatre, we took the plunge and started looking for a space in Colorado. Our public shows feature world-class performers in an intimate, elegant showroom. We also offer private parties, corporate events, team-building, and wedding events, which include entertainment in addition to catered meals. 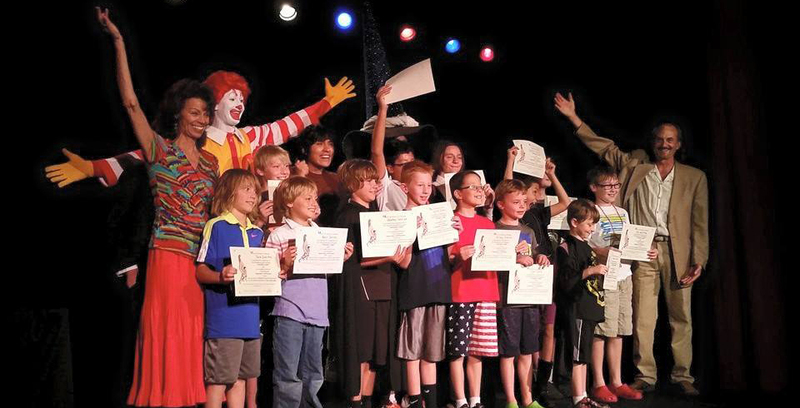 A popular event is Wizard Camp, where students learn magic and perform in a recital on stage at the end of the week. It’s for all ages — we recently had a 40-year-old student in Wizard Camp and this year, a 64 year old. When I advertise ages 7 and up – I mean up! We are one of five theaters like ours in the world. We set the bar very high for the caliber of talent we book and now we’re constantly contacted by world-class professionals who ask to perform here. Our upcoming lineup continues that tradition, which has been a key element to being here for over 12 years. We have faced a lot of challenges. One challenge is breaking the perception that magic is strictly a puzzle and is just for kids. Although our shows are family friendly, they are also quite sophisticated and intellectually challenging. I market the shows and struggle to convey to people that we feature performers who normally appear in Las Vegas, New York City, and in huge showrooms around the world — right here in Castle Rock. It only costs a small fraction of the price they’d pay to see the same acts elsewhere. We feel that once we get a guest in the door to see just one show, they will be back for more, as well as for private parties and events. And they help spread the word about our hidden gem, which is considered by many to be the best entertainment value in Colorado for live performances. What do you enjoy most about running a theatre? The joy on the faces watching the show and hearing glowing comments as they leave and thank us for sharing our talented friends with them. We truly enjoy hosting live family shows filled with comedy, mystery, wonder and skill. This small theater is a labor of love for us. We make our main living performing our own illusion show at other venues. We truly love to share our uniquely special art form — magic and illusion. It is a true art form when performed skillfully, which we stress heavily in our camp and private lessons. Magic has many styles, from comedy magic to sleight of hand, mentalism and dark, theatrical mystery. How do you find new patrons and what do you find is the most important thing your patrons are looking for when they attend a show? I do a lot of “guerrilla marketing” meaning, going to lots of networking events and spreading the word about our theatre. Whenever appropriate (without being pushy), I mention our theatre to people I meet. I always joke that I got into show business 36 years ago and now I’m in sales. We all are though when you own a business. At least, I know I have something fun and valuable to offer! You have built fantastic relationships with your patrons. Is this key to being successful? Oh, yes – for sure! We greet and seat all the guests as they arrive, host the shows, and thank them for attending as they leave the theatre. One of our best compliments is when patrons tell us that they feel so at home in our theatre, that they feel they are watching world class talent, right here in our living room. What have you found to be the most effective way to promote your shows? Our newsletter. If I can get someone’s email, and get them in the door just once to see what we are all about, my chances to get them back are huge. They also spread the word for us. We literally ask them to become ambassadors for our theatre, and they do! Word of mouth is priceless. Keeping up a high caliber of performer is also paramount. Our loyal patrons have come to trust us….if we bring an act here, they will be great, and they know it. We never let them down, and we keep hearing that we are topping ourselves all the time. There is nothing wrong with that! How has WellAttended helped the Theatre of Dreams? It’s nice to have a ticketing site where people can buy any time of day or night, and William helped us set it up. You used to take orders over the phone. How much time do you now save? Boy, that’s a tough question. I am guessing we save an hour or more each day as many patrons that would call in for tickets would want to have “small talk” with us, which was fine, but not time-efficient. It’s also nice not to be interrupted as often as we used to be. When the theatre line rings, we drop everything and answer. What are some of your favorite features in WellAttended? I like the questionnaires, the attendees list, the offer to buy front or second rows seats for a couple of more bucks. I also like to get purchase notifications right away. That way I know how quickly tickets are selling, or not. William and Micah are always on top of any little issue that has come up. Lots of time it’s user error, but their quick response is an invaluable custom service for me as the marketing manager. Thank you Carol for sharing your detailed insight on how you run a successful theatre. If you are in the Denver area, we encourage you to attend a show. You can learn more about the Theatre of Dreams and view upcoming shows at www.amazingshows.com. If you have questions or comments for Carol, please leave them in the discussion area below.